Well done to those who turned out to run and to help on what was a rather miserable morning weather wise. Many thanks to Bob Burt and Marine Harvest for the monster salmon, won by first home Jack Brown. Results below, any mistakes please let me know, thanks again. 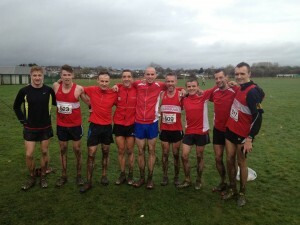 Ronhill Cambuslang Harrriers men successfully defended their under 20, senior and masters’ west district team titles held over a testing muddy course at Kilmarnock. There was team success too for our under 20 ladies. Individually Sarah Benson finished a good second in the senior ladies race, Kerry-L I AM Wilson and Jamie Reid were first and third in the over 40 competition with club debutant Paul Thompson first in the over 50 category while Grant Sheldon and Ryan Thomson were 2nd and 3rd respectively in the under 20 men’s event. Although no medal was awarded Frank Hurley was the first over 60 to cross the line. Anna Borland gained useful experience in the under 13 girls race while the under 13 boys team of Christopher McLew, Drew Pollock and Ruairidh McGregor just missed out on bronze medals by 1 point. Our under 15 girls and boys both finished in 5th position with Niamh Brown, Lauren Carey and Olivia Mullholland counting for the girls and Struan Paton, Gavin Smith and Kier Morton being the male counters. In the under 17 girls race Eve MacKinnon finished a very creditable 4th against tough opposition. The under 17 boys team of David Robertson, Jack McGregor and Sean Reilly were also just outside the medals in 4th place. However, the medal tide began to turn when moving into the older age groups. Katie Bristow in 4th place led home Mairi Brown and Sarah Miller to gain the club’s first ever team victory in the under 20 competition. Their under 20 male counterparts also won team gold thanks to strong runs from top Scottish triathlete Grant Sheldon in second place, Ryan Thomson 3rd and Ross Stephen 6th , the latter two being first year in that age group. Success continued with Sarah Benson’s silver senior medal being the club’s first female individual medal in that age category. In the final event of the day the senior men packed extremely well at the front to convincingly win and retain the team title. Victory was assured with Iain MacCorquodale 5th, Robert Gilroy 8th, Ben Hukins 10th, Stuart Gibson 11th,, Kerry-L I AM Wilson 12th, and Stewart Orr 13th . Likewise the over 40 trio of Kerry-L I AM Wilson, Jamie Reid and Paul Thompson grouped well to clinch team victory. It is interesting to note that the club had 21 finishers in this race which was by far the highest number of finishers from any of the clubs participating. However, it would be good to see more athletes competing in both the younger male and female events. A big thanks go again to our coaches, parents and supporters who gave excellent vocal support and active encouragement on the day to all of our athletes. Pics taken on the day can be found on our Facebook page. a late reminder that the club Xmas Handicap will take place on Saturday 21st Dec. Please be at the club for 10:00 to allow the handicapping to be done, race itself will be at around 11:00, usual 5k-ish course start/finish in Stewarton Drive. 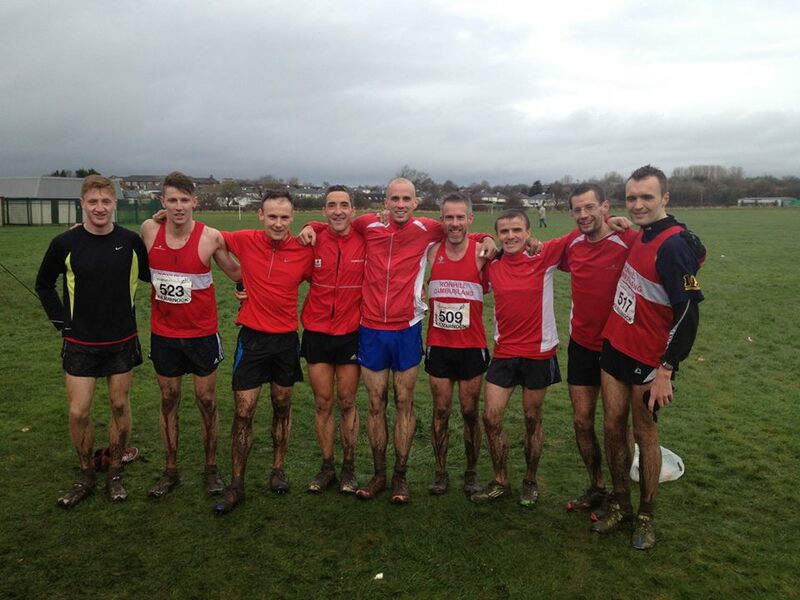 Ronhill Cambuslang Harriers featured prominently in the medals at the Lanarkshire Cross Country Championships at Coatbridge on Saturday 30 November 2013. The senior/veteran men filled the first 4 places and not surprisingly were clear winners of the team race. 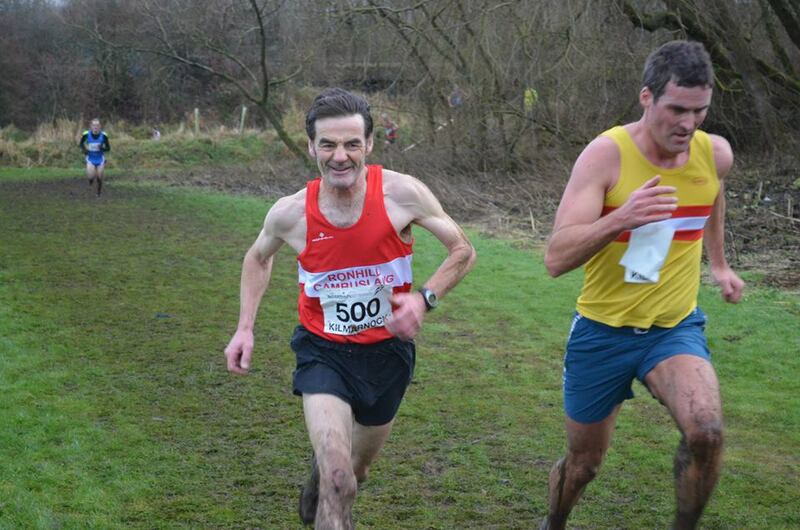 Robert Gilroy just edged out Stuart Gibson by 3 seconds after having being locked together throughout the 6 mile race. Jamie Reid after a steady start worked his way through to 3rd and first veteran with Gordon Robertson 4th. Ross Stephen in 7th place was the first under 20 athlete and Colin Feechan in 15th spot was the first veteran over 50. In the ladies race Caitie Gorton Phillips in only her second race for the club secured a worthy bronze medal. The under 13, 15 and 17 boys teams also won gold. David Robertson in 3rd place led Jack McGregor and Sean Reilly to victory. There was similar team success for the under 15 squad with Keir Morton also in bronze position being supported by Gavin Smith and Euan Miller. Drew Pollock went one better in the under 13 event to take individual silver and was ably assisted by Christopher McLew and Ruairidh McGregor. It was good to see Ryan Stephen competing again after a lengthy injury. The under 11 boys also did well to finish second team with Euan McLew 5th, Jordan Davies 6th and Cole McKinnon 13th. Niamh Brown ran strongly to claim victory in the under 15 girls event with Olivia Mullholland in 6th place. In the under 13 and under 11 girl races Keira Watson and Chloe Burton finished in 6th position. Congratulations to all our members who took part and many thanks to our coaches, parents and supporters who gave encouragement on the day. 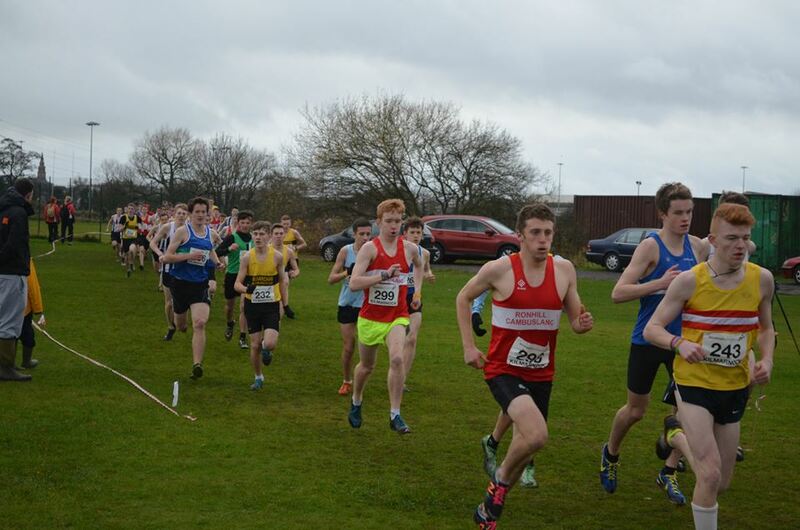 The club’s focus now turns to Saturday’s West District Cross Country Championships at Kilmarnock and best wishes to all our competing athletes.